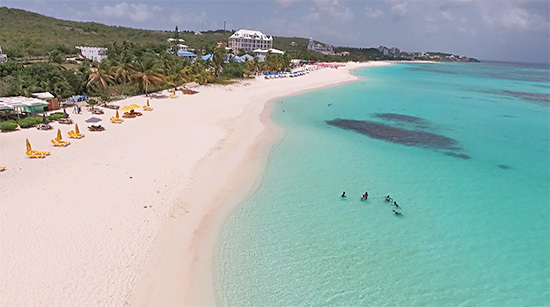 Anguilla is known for its beautiful beaches, delicious food and wonderfully warm people. How often do you find all of that in one place – and at a great price? 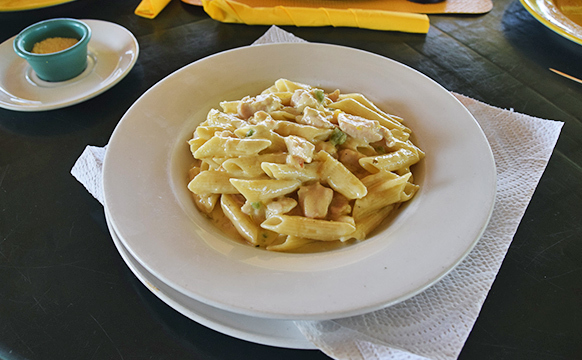 Elodia’s Beach Restaurant & Bar on Shoal Bay East delivers precisely that perfect combination. Making a pact to relax and enjoy a day at Shoal Bay East, my aunt and I packed up our beach bags and took a drive to the western end of Shoal Bay. The mission: Enjoy a leisurely walk to the east of the beach at Elodia's. Every time I walk this pristine shoreline, my fondest childhood memories overwhelm me. Decades ago, Shoal Bay East was "home" whenever we would visit Anguilla (before I moved to Anguilla in 2014). Arriving to the island was always the same... warm, smiling folks greeting you at the airport, our rental car waiting with the keys under the mat and then, saving the best for last, arriving at Shoal Bay Villas to be reunited with the kind staff who had quickly become our extended family. In those days, the landscape was natural and undeveloped. Palm trees and sea grapes lined the dunes. Still beautiful in everyway today, the landscape has changed as the beach has grown with the addition of Zemi Beach House and Manoah. A number of beach bars (Tropical Sunset, Hank & Mac's, Uncle Ernie's, Gwen's Reggae Grill) are also concentrated on the western half of the beach. Towards the middle lies Shoal Bay Villas. And, at the tail end? Elodia's and the fascinating curve of sand known as "The Point" (see below). 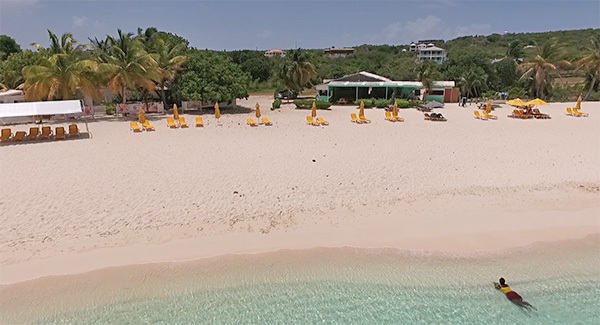 Tucked into the lush foliage of sea grapes and palm trees, and set just before the beautiful Shoal Bay East Point (see photo above), Elodia's has a prime location. It is tranquility at its very best, set away from the concentration of "activity" on the western side of Shoal Bay East. A simple, rustic and open-air restaurant with wood floors and picnic tables, it is reminiscent of Anguilla's beach bars of "yesteryear" (ex., the old Reefside Bar and Restaurant at Shoal Bay Villas). This is classic Anguilla at its most relaxing. 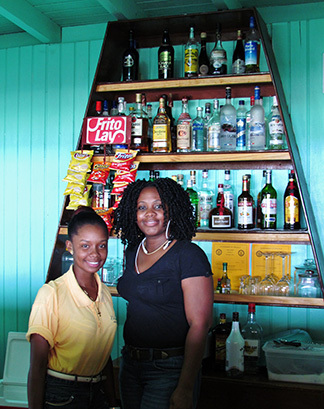 One step inside the laidback beach bar and Kathrin and Fayola greeted us warmly. Familiar faces, the kind folks at Elodia's take good care of you. 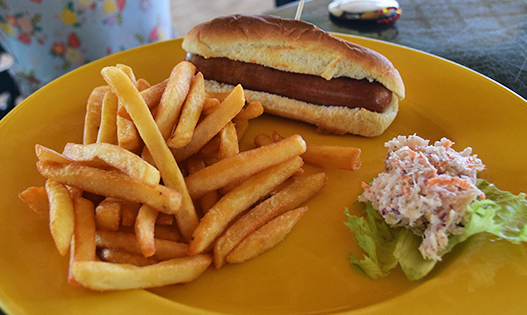 Talk to the restaurant's "regulars" and they will tell you it's not just the beach and food that keeps you coming back. It is the relaxed, unpretentious atmosphere and the people. 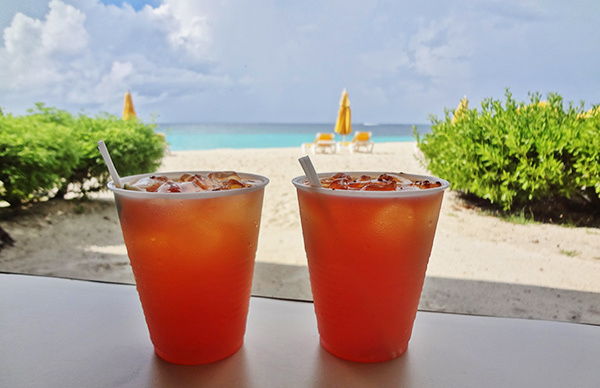 ... order one of Anguilla's most famous rum punches! A "TripAdvisor Award of Excellence"-winning rum punch, it is delightfully refreshing. Elodia's combines three different rums, fruit juice and, to top it off, a splash of Amaretto. It is "love at first sip." 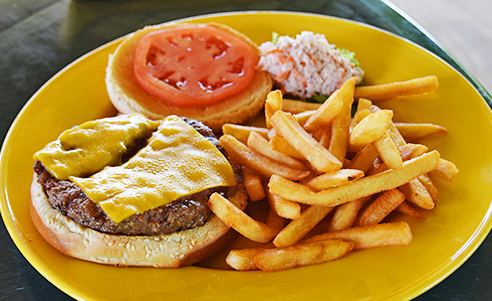 When it comes to food, Elodia's keeps it simple and excellent. 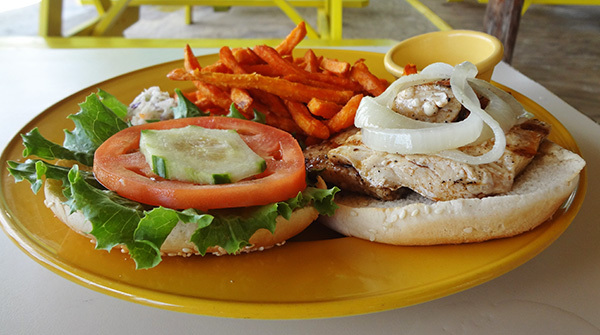 They offer a variety of sandwiches (ex., tuna, chicken, mahi mahi), BBQ plates (ex., chicken, ribs, shrimp, mahi, etc. ), burgers, salads and pastas. The sights never cease to delight at Elodia's, watching the fish jump in the sea and the local fishermen hard at work making their way to deeper waters out in the distance. Post-lounging, it's time for for fun under the sea. Shoal Bay East, and particularly the part in front of Shoal Bay Villas and Elodia's, is known for its active reefs. Just a few yards from our beach chairs and we were in a maze of sea fans and coral, where tropical fish, turtles and stingrays feed. This is a recipe for a perfect and affordable day on Anguilla. 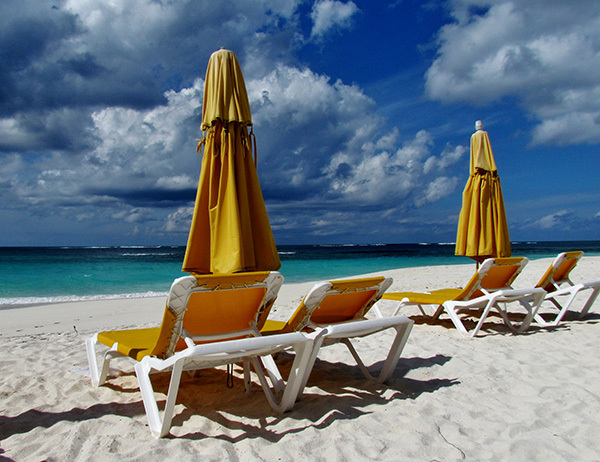 Final Tips: Elodia's offers reasonable rentals on two beach chairs and an umbrella - $10. Parking is free with your meal, $5 otherwise. Beach chairs usually fill up by 11am in the high season, so if you find yourself getting a late start, just give them a call to reserve your spot! Snorkel gear and other water sports are available for rent for the day. Directions: Located on the east side of Shoal Bay East.